So, this year coke studio hit our television screens on 11th August. Each episode was released on Friday on Internet while it went on-air every Saturday on Television; only episode 7 was released and aired on Thursday, 21 September, to respect the Holy month of Muharram. First of all let’s start with top 10 songs of Coke Studio 10. Mujh Se Pehli Si Muhabbat written by Faiz Ahmed Faiz, originally composed by Rasheed Attre and sung by Madam Noor Jehan was renewed this year as a tribute to Madam Noor Jehan. Music Composed by Meekal Hassan, sung by Humaira Arshad and Nabeel Shaukat Ali, this tribute is one of the bests. Humaira’s voice was very soothing and Nabeel’s part was also sung beautifully. This was a great duet as well. Baanware is written by Syed Raza Tirmazi. Music directed by Shuja Haider and sung by Aim Baig and Shuja Haider, this song was also very soothing. Shuja Haider’s magical voice and magical composition was great. Aima Baig also sang the song very comfortably. I think both these songs deserve to be in this top 10 list and deserve the same place. Faasle is written and composed by Jaffer Zaidi and is presented by Kaavish along with Quratulain Baloch. I was surprised to know that Jaffer is son of legendary Nayyara Noor. Coming to the song, the song is a sad song. It is a conversation between two people, one of them is in love with other but the other one is a Bewafa. QB’s powerful voice is an excellent addition to the song. Ghoom Taana is written by Sabir Zafar and Salman Ahmed. The song is recomposed by Salman Ahmed; originally ft. in Junoon’s 2003 album Deewar as a single. The song is sung by Momina Mustehsan & Irteaash. This song was the best remake as it beautifully converted a rock song into a slow one. I loved it!!!! Jaagain ge Zaroor ye Bhaag Tere!!! The song is a fusion of two songs. Dekh Tera Kya originally written by Muhammad Nasir and sung by Alamgir, while Lathay Di Chadar was written by Bashir Manzar and sung by Musarrat Nazir. The song is composed by Shani Arshad and beautifully sung by Farhan Saeed & QB. They both had a great chemistry together. The song was also great Luddi song. It is also a great addition to our Wedding Songs. The song is written by Saifuddin Saif and Ali Hamza wrote additional lyrics. Originally composed by the legendary Nisar Bazmi and sung by Roona laila. The song is sung by Aima Baig, Rachel Viccaji & Humaira Arshad. The song starts with rock vocals of Aima and Rachel and then Humair sungs the classical part like a nightingale. I really loveddddd Humaira’s performance. The heroic entry of Ali Hamza was also good. The song is originally composed and sung by Ataullah Khan Esakhelwi. This version was sung by Ataullah himself along with his son Sanwal Esakhelwi and composed by Shuja Haider. Shuja Haider has really created magical music. Sanwal’s debut was great. I absolutely loved his voice. Ataullah Khan was as always perfect. Baazi is a traditional folk song written by Asim Raza. Beautifully composed by Sahir Ali Bagga and sung by Bagga alongside with Aima Baig. The song was Aima’s debut song in Coke Studio and she really did justice to the song… The song forces you to dance on its beautiful music. Sahir Ali Bagga,s powerful vocals and Aima’s grip on Siraiki even she doesn’t know it made this song a treat to listen. Sat Bismillah Kar k Dhola Main hunn Ishq Qaza Nai Karna.. The first one of this season, Hamd, beautifully written by Shuja Haider & Salman Azmi, music directed by Shuja Haider and sung by Ahmed Jahanzeb and Shafqat Amanat Ali, this Hamd will surely give you Goosebumps. It is indeed a treat to listen. Ahmed Jahanzeb’s unique voice and Shafqat’s beautiful voice were the best choice indeed. The lyrics are simply BEAUTIFUL!!! Us Rah Par is written by Shoaib Mansoor and is originally sung by Junaid Jamshed. This song was the best tribute and the best song of the season indeed. Sung by Ali Hamza, Ali Zafar & Strings and music beautifully composed by Jaffer Zaidi, the song gives you a great feeling. I loved when strings entered and Bilal strated singing. The song is surely not one of the bests of the season but also one of the best songs of Coke Studio. Jis Par Nahi Koi Gaya….. Though I loved many other songs like Tinak Dhin, Jaan e Baharan, Chaa Rahi, Naina Moray, Yo Soch but these were the 10 songs I liked the most. Chaa Rahi Kaali Ghata, Baazi, Rangrez. Muntazir, Laal Meri Pat, Yo Soch. Naina Moray, Ranjish Hi Sahi, Faasle, Us Rah Par, Ujaalon Main. Allah U Akbar, Jaan e Baharan, Sab Maya Hai, Dam Mast Qalandar, Baanware. Tera Naam, Ronay Na Diya. Dekh Tera Kya, Bol, Maula Tera Noor, Julie. Mujh Se Pehli Si Muhabbat. Tinak Dhin, Jindjaani, Kaatay Na Katay. I think it is evident that Shuja Haider is a clear winner here. However songs directed by Sahir Ali Bagga were also great. Yes I am going to talk about people who worked really hard work but didn’t get the appreciation they deserved. First of all let’s talk about the backing vocalists Rachel Viccaji, Natasha Khan & Shahab Hussain. Their voice in background really play a great role. In this season I Loved their, Tinak Dhin Hayee Hayee in Tinak dhin, their voices in Jaane Bahaaran and their Baaja in Baazi. There are also many other performances to their credit. They are essential part of every song indeed. 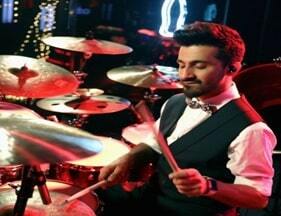 And another Star of the show Aahad Nayani, the drummer. I love his expressions, the way he plays the drums and his hard work. So, this was all about it. Looking forward to a more epic season next time. PS: It was all my opinion, do share your thoughts also and this was my first ever article so do tell me about my mistakes, so that they are not repeated in the future.